Buffalo, NY (October 11, 2018) – A crash that involved a pickup truck and two buses is responsible for the hospitalization of four people on Thursday morning, October 11. 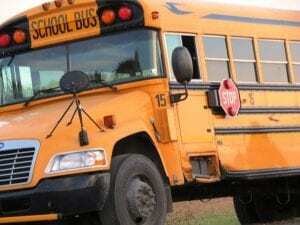 According to NFTA officials, the crash occurred at around 9:30 a.m.
Officials stated that a school bus was struck by a pickup truck that ran a red light while the bus was stopped at Fillmore Avenue, in the vicinity of William Street. Following the initial collision, the truck continued on to strike a nearby Metro bus. Three people on the Metro bus suffered injuries due to the crash, and thankfully, no students were on the school bus at the time. However, a child and their mother, along with the driver of the Metro bus were hurt in the crash. The driver of the pickup truck was also reported to have been hospitalized. The conditions of the injured parties are unknown at this time, and authorities are currently investigating this accident. We would like to offer our warmest sympathies to all four of the injured victims of this accident. A bus accident in New York can occur for a host of various reasons, often related to the negligent operation of one of the vehicles involved. It is significant to realize that if someone causes a crash that was not your fault, you may have rights. A capable and experienced New York accident attorney can ease your afflictions and guide you through the challenging path toward compensation. At Hach and Rose, we understand the physical, emotional, and financial distress that often follows an abrupt crash. We pride ourselves on our aspiration for assisting the members of our community, and holding inattentive parties liable for their actions. If you have been hurt in a New York bus accident, please don’t wait to call 212-779-0057 today.